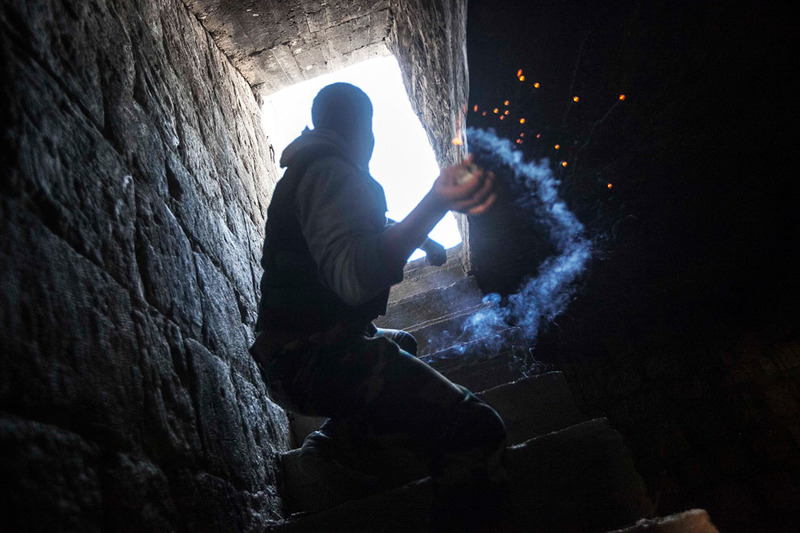 Nearly two years after the start of Syria's popular uprising, the conflict has evolved into a slow-moving, brutal civil war with many players and no clear end in sight. Multiple rebel groups across the country continue to fight President Bashar al-Assad's forces, using any weapons they can get their hands on. While the rebels are using many modern weapons, they've also come up with their own makeshift solutions. In these weapons workshops, anti-aircraft guns are welded to pickup trucks and armor shields are attached to machine guns and cars. Mortar shell nose cones are turned on lathes and explosives are mixed by hand. 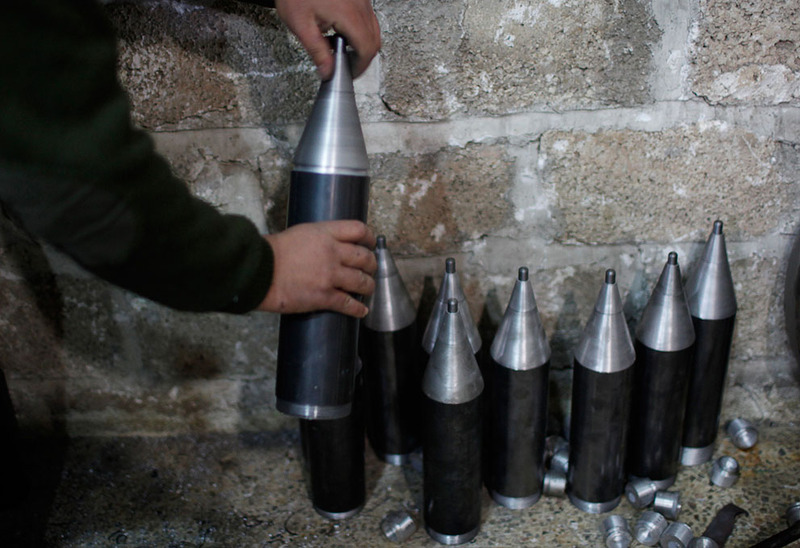 Homemade grenades are launched by jury-rigged shotguns or giant slingshots in the urban battlefields of Aleppo and Damascus. 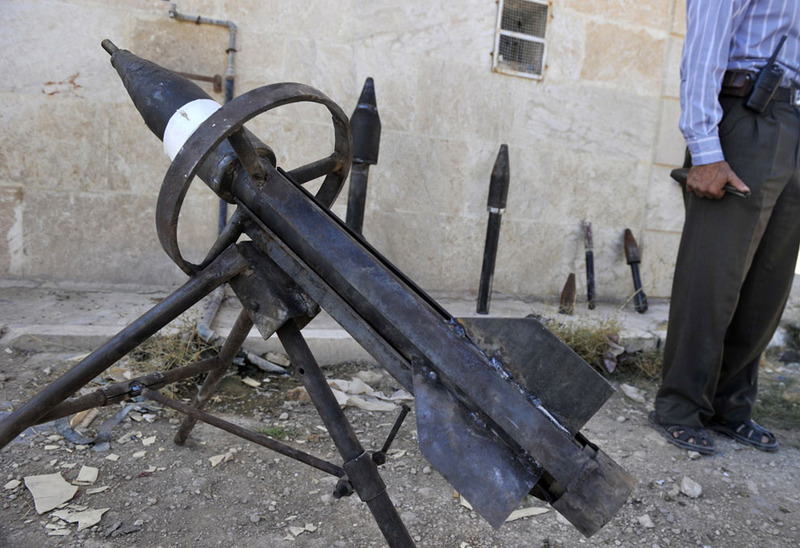 Gathered here are a few examples of the hand-built munitions of the Syrian rebels. Text and images knicked form here.